Before I jump to why I am paying so much attention to Slovakia, I have a few thoughts about picking teams. I have never been someone who roots for any team other than my hometown teams. I am a Crew fan. This was easy, I live a mere 4 miles away from Crew Stadium and spent most of my life in Central Ohio. I am also a fan of the U.S. National Team. Again, easy. I’m an American with mixed decent, German, Irish, and Eastern European thrown together. I have never felt the pull of those countries. I love international soccer, the Euros, World Cup, Champions League, EPL etc. and I have picked teams overseas to follow, only to forget about them quickly. I tried following Brazil, Holland, and even England, but couldn’t do it. I am a nominal Aston Villa fan, but I don’t really try catching their games. I sorta like Juventus, but not really. I cannot commit heart and soul to these other teams; it wasn’t natural. After trying to find a team to follow, my team found me. 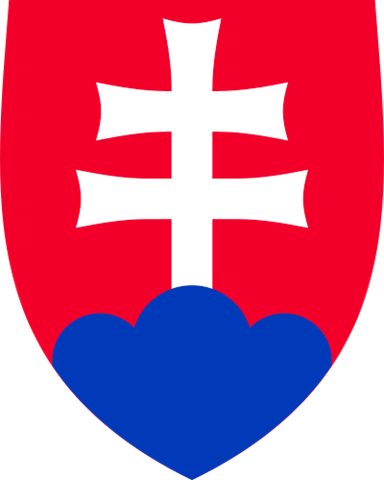 I am a fan of the Slovakian national team. Slovakia is a country and a team without pedigree. They were the lesser partners in the Czechoslovakian state during the Cold War. They have only been an independent country for 16 years; often overlooked by their more successful neighbors the Czechs. It was by chance, cleaning out the DVR last April that I watched Slovakia win for the first time in Prague. This was the country of my distant ancestry (my long deceased great grandparents), a country that none of my friends had even heard of, beating one of the better teams of Europe and bitter rival. With that historic win they were on the verge of a World Cup birth. This set up the return game last Saturday. With no game on TV, I prowled the deepest corners of the internet and found two halting streams of the game. With both side by side in my browser, I tried to make out the teams and the action as on stream or the other would freeze up and the video would get pixilated. I was lucky to see the action from the second half. Slovakia taking the lead, then giving it up. Marek Hamsik scoring the PK to put Slovakia back on top and getting two yellow cards within a couple minutes of the goal to get thrown out. I then caught the inevitable equalizer. Attention is growing on this unknown team from the heart of Europe. The New York Times Goal blog covered the particulars of last Saturday’s match and Wednesday’s important matchup against 2nd place Northern Ireland will be shown on Fox Soccer Channel. Even my father (from the Slovak side of the family) asking about how the team is faring. Even as attention grows on the underdog team from Central Europe, I doubt there will be a large bandwagon. They aren’t the exciting European team. They will certainly be overshadowed by Russia, Holland, Germany, Spain, England, and others. I know that they will have one more fan in the United States, pulling for the “home country” he has never even seen. It may be a little odd, but this is a team that I finally feel I can root for.